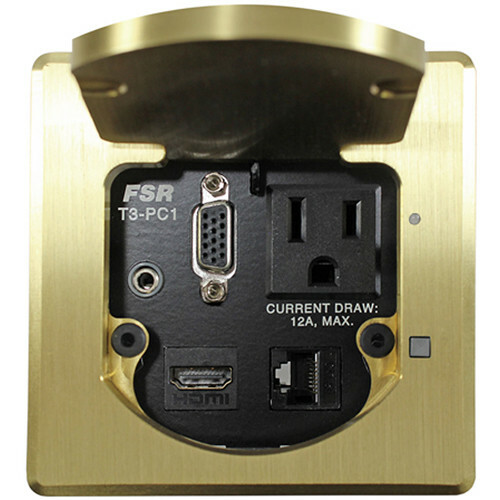 The brass T3-PC1D-1B 3.5" HDMI Square Table Box from FSR provides convenient network and AC power access for a computer or laptop. The keystone area features 15-pin Sub-D, stereo audio, HDMI and RJ45 data connectors, as well as an AC power plug. The table box has one button and one LED light. The button has various functions, the main option being to turn on/off the microphone, and the LED indicates that the microphone is active.